I am finally realizing that I have been out of high school for 10 years! It is hard to believe, but our class reunion is coming up in a few days and it will be nice to see everyone. I am the one in the middle of the picture by the principal (red shirt, khaki pants). Personally, I LOVE Netflix! I watch Netflix while I research, grade papers, and while spending time with family. I think Netflix is a great resource for households who have diverse film interests and who value documentaries. Historical, education-related, adnd social documentaries are a favorite in our household. In addition to the documentaries, we love Bones, CSI, Law and Order, and I recently developed a love for The Commish. This summer, I started a list of movies that I would like to incorporate in my classroom (ordering them from the university library). Netflix enables me to preview documentaries/movies for my classes and then I am able to order these films through our library. I really wish Netflix would enable educational institutions to subscribe to Netflix. Our faculty would WELCOME the additional "educational" media tool (AND they would not have to drag videos from classroom to classroom). Copyright lawyer and librarian Kevin Smith, a scholarly communications officer at Duke University, said academic libraries are taking a risk with these programs. Although copyright law allows faculty members to use the material in the classroom, he said, they may be opening themselves up to legal action from the company. What's In YOUR Business Card Holder? 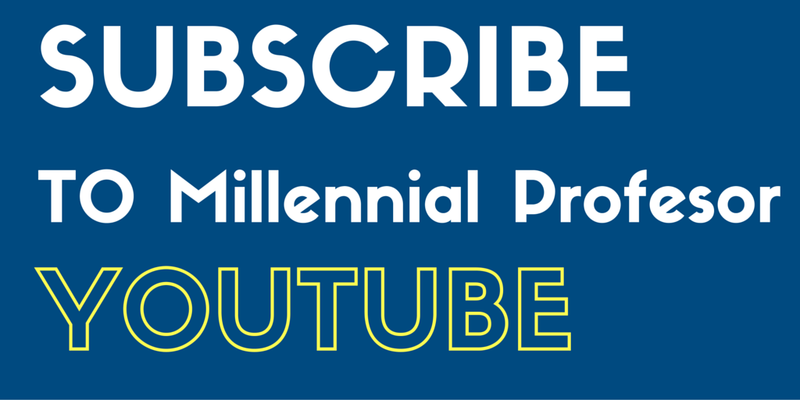 - Simple Strategies to Differentiate Your Business Cards from the Rest! Here is another great article from the Chronicle of Higher Education titled, "Hacking Your Business Card". I used the university business cards for awhile, but I wanted to make myself stand apart from the rest of the faculty who attend research conferences. So, I logged on to Office Max and created some GREAT business cards with their online software. I chose purple and white (my university's colors) and I chose to include the logo. They were very professional and Office Max runs a LOT of sales on business cards! In addition to regular information, I decided to include my Twitter and Yahoo IM information. As faculty, (adjuncts, instructors, professors), etc., do you have a CV (curriculum vitae) to record your accomplishments, service, and teaching records? How often do you update your vitae? One of the commonly asked questions in higher education is about the length of the vitae. 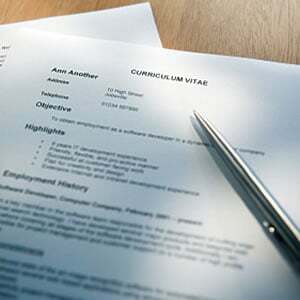 According to an article in the Chronicle of Higher Education, "Creating and Maintaining Your CV", the average CV is three (postdoc) to 20+ pages (senior professor). Currently, my CV is 13 pages and I have all of my presentations and publications listed. Is this too much? Should I include all of my presentations? Until told differently by one of my mentors, I will keep my CV in its current state. According to the Chronicle of Higher Education article, people should include the following pieces of information. What items should you include and what items should you exclude? As a big fan of Cliff Notes for literature courses in college, I thought that these small yellow books were a great idea for "revisiting books" if a person does not have time to read the novel again. However, college textbooks are a DIFFERENT animal. Most college textbooks are 300 - 400 pages long and most instructors only include a percentage of the chapters on their syllabus and in their classes. 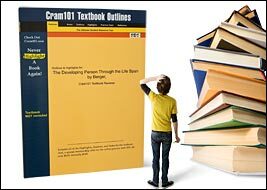 With the reduction in the number of chapters assigned in a class, why would a student need Cram 101 (Cram101 - Barnes and Noble)? Textbook companies produce an array of resources for their consumers! MOST of these resources are FREE. However, I know that some students will LOVE this product. In fact, as a college student (a few years ago), I probably would use this same product to check my knowledge of the book. In fact, I would probably have purchased several of these books with my friends and swapped these books back and forth. What do you think? Would your students use this product? I realize any of you teach courses online and these courses consist of students from around the world! It would be GREAT if they could all meet at one location and "study" together, wouldn't it? Well, now they can! Here is a website that will enable students to "study" together online. Check it out! Let me know what you think? Do you already use this in your classroom? - How difficult is it to get started? - Are there any pitfalls in teaching online and if so, what are they? - What are some of the best practices an online teacher should demonstrate? - Survival tips for your first assignment. If you are EVER looking for good case studies to help you emphasize key concepts in class, you might find a good one at USA Today! The case studies are divided into three categories: business case studies, Hubble case studies, topical case studies, and student life/FYE case studies. Each of these case studies are available in html and PDF format (for an easy download). Blackboard Users: EMBEDDING is your BEST FRIEND! 4. Log on to blackboard. 6. Find the document I need to replace. 7. Delete the document I need to replace. 8. Find my new document on the external drive (the corrected file). 9. Upload the corrected file. *I have to go through these steps EVERY semester! Now, with my favorite program of all time (Google Documents). I can create a document, embed the document, and add a link (for users who have a firewall). 2. Share the presentation (upper-right hand corner). 3. Embed the presentation on blackboard. If I EVER need to update the document, I simply log on to my Google Docs account and correct the document without EVER logging on blackboard! Voila! There are numerous opportunities for Google Presentations! Any additional ideas? Good afternoon! This semester, my colleague and I received a "Real-World Experiences Applied to Learning Real" (Keeping it R.E.A.L.) grant for undergraduate research and to plan our conference. Yay! The Tarleton State University – Communication Studies Department will sponsor a “Diversity and Communication” Research Symposium on Wednesday, November 3, 2010 in TSU Dining Hall. Panels (including roundtables and discussions) or papers/abstracts are possible forms of submission. Panels: Include a title, 100 word abstract, name of the contact person, and names, emails, affiliations, and addresses of all participants. conceal the author(s)’ identity. Title page should contain a 100-word abstract. Remove all author references. Designate “Student Authored” papers. *Full papers will be given priority over abstract submissions. Deadline: Complete the conference submission form (http://www.tinyurl.com/diversityandcommunicationform/) AND e-mail papers/panels to Dr. Jennifer T. Edwards (jtedwards@tarleton.edu) no later than Friday, October 15, 2010 (midnight CST). Attachments: E-mail submissions as e-mail attachments in MS Word (2003 or 2007) or Rich Text format. If you have any questions, please contact Dr. Jennifer T. Edwards (jtedwards@tarleton.edu) and Prof. Cristi Horton (horton@tarleton.edu) via e-mail or telephone (254-968-9638). My REAL Experience: Training 90 Undergraduate Students How to Use Google Docs! Good morning! Yesterday was the SECOND day of classes (MWF) and I trained over 90 students to use Google Documents. A colleague and I received a "Real-Word Experiences Applied to Learning" institution grant for our upper-level communication courses and our learning outcomes include collaborative research for undergraduate students. The students will conduct research on diversity and communication to write a paper and to present the results at the Tarleton State University - Communication Studies Department's "Diversity and Communication - Research Symposium" (which will also include papers and panels from faculty and staff)! Not surprisingly (if you know me), we decided to use Google Documents for each of the student research groups. At the beginning of the workshop, the training was chaotic. Some students have a Google Documents account and other students do not have an account. This means that I had to help the students create an account for Google Documents. Many of the students actually used their university e-mail to create their Google account. Before class, I created fifteen research documents (one document per group) and I added each of the students to the research groups at the end of the class period. a. Each of you can type on the document simultaneously! In fact, you can see each other's comments by their colored cursor. b. You can CHAT with your group members while you type your sections of the document. c. You can double-check the document to verify that your group members edited the document at a certain time. d. If you EVER need to view a prior version of the document, you can! In fact, you can revert to a prior version. e. You can send e-mail to your group members through the document! f. The new version has MARGINS and COMMENTS you can create in the side bar (instead of comments directly on the document). g. The document saves your data AUTOMATICALLY! One unrelated comment - My training sessions were in the morning and my colleague's class (and training sessions) was held in the afternoon. So, I stood up for almost four hours! :) If you conduct a similar training, please make sure you wear comfortable shoes!